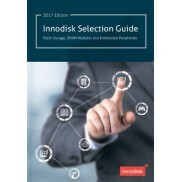 Твердотельные диски mSATA купить | Innodisk в Украине – официальный дистрибьютор компания ХОЛИТ Дэйта Системс. 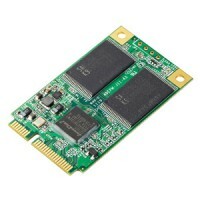 Твердотельный диск mSATA 3SE(Industrial, Standard Grade, 0℃ ~ +70℃)Innodisk mSATA 3SE is designed as the standard Mini PCIe form factor with SATA interface, and supports SATA III standard (6.0Gb/s) with excellent performance. The form factor refers to the MO-300 specification which established by JE..
Твердотельный диск mSATA 3SE(Industrial, W&T Grade, -40 ~ 85℃, , Thermal Sensor)Innodisk mSATA 3SE is designed as the standard Mini PCIe form factor with SATA interface, and supports SATA III standard (6.0Gb/s) with excellent performance. 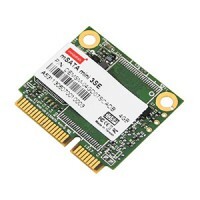 The form factor refers to the MO-300 specification which esta..
Твердотельный диск mSATA mini 3SE(Industrial, Standard Grade, 0℃ ~ +70℃)Innodisk mSATA mini 3SE is designed as the standard Mini PCIe form factor with SATA interface, and supports SATA III standard (6.0Gb/s) with excellent performance. 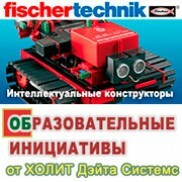 The form factor refers to the MO-300 / MO-300B specification whi..
Твердотельный диск mSATA mini 3SE(Industrial, W&T Grade, -40 ~ 85℃, Thermal Sensor)Innodisk mSATA mini 3SE is designed as the standard Mini PCIe form factor with SATA interface, and supports SATA III standard (6.0Gb/s) with excellent performance. The form factor refers to the MO-300 / MO-300B specif..
Твердотельный диск mSATA D150Q with Toshiba(Industrial, Standard Grade, 0℃ ~ +70℃)Innodisk’s mSATA D150Q is designed in a standard mini PCIe form factor with a SATA interface. This unique combination provides fast data transfer rate performance and allows for effective integration in small form fac..
Твердотельный диск mSATA D150Q TSOP with Toshiba(Industrial, W&T Grade, -40 ~ 85℃)Innodisk’s mSATA D150Q is designed in a standard mini PCIe form factor with a SATA interface. 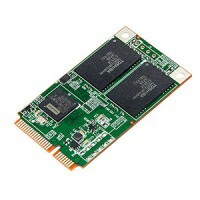 This unique combination provides fast data transfer rate performance and allows for effective integration in small form fac..
Твердотельный диск mSATA 3SE-P(High IOPS, Industrial, Standard Grade, 0℃ ~ +70℃)Innodisk mSATA 3SE-P is designed as the standard Mini PCIe form factor with SATA interface, and supports SATA III standard (6.0Gb/s) with excellent performance. The form factor refers to the MO-300 specification which es..
Твердотельный диск mSATA 3SE-P(High IOPS, Industrial, W&T Grade, -40 ~ 85℃, Thermal Sensor)Innodisk mSATA 3SE-P is designed as the standard Mini PCIe form factor with SATA interface, and supports SATA III standard (6.0Gb/s) with excellent performance. 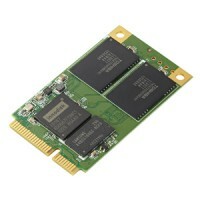 The form factor refers to the MO-300 specificati..
Твердотельный диск mSATA 3SE3(Industrial, Standard Grade, 0℃ ~ +70℃)Innodisk mSATA 3SE3 is designed with mSATA form factor by MO-300/MO-300B which established by JEDEC, and support SATA III standard (6.0 Gb/s) with excellent performance. Regarding of mechanical interference, Innodisk mSATA 3SE3 abso..
Твердотельный диск mSATA 3SE3(Industrial, W&T Grade, -40 ~ 85℃, , Thermal Sensor)Innodisk mSATA 3SE3 is designed with mSATA form factor by MO-300/MO-300B which established by JEDEC, and support SATA III standard (6.0 Gb/s) with excellent performance. Regarding of mechanical interference, Innodisk mS..